Creating a profitable product which actually excites the user that isn’t quite a technological minefield at the very instance can be quite tricky. It is quite impossible for any business which isn’t a large enterprise. There are various stories of product failures. We often celebrate the success of various products such as software but rarely know about them. There are countless failed companies which never got their product right and a huge number of large companies that failed despite having a robust marketing team and strategy. Without a great product or a particular service, you can’t actually create a great company. This might sound quite obvious, but many like to believe that spending a lot of money on great PR and marketing can easily sell products such as software. This is due to the alternative of investing in creating a great product which is often time-consuming. Creating a great software product is quite hard and requires a bit of experience. A lot of people believe that they can easily build as well as design software products as they have a certain opinion about the product they actually use. However, it is quite difficult to find a great software product people. The best software product people are essentially the ones who have actually learned through years of extensive research and experience and various rounds of the trial as well as error. There are software product development services which are passionate as well as object about the software product design and always use the latest tools as well as technologies and consider user experience as the utmost priority. However, the functionality, as well as the design of a great software product, are difficult to know. Most of the companies fail to realize the importance of various factors of creating successful software products. Mentioned below are few of the vital features of top software product development. Always use the data. Risky bets, as well as hunches, rarely pay off. You need to ensure that you are creating a right software product before you actually fret about creating the product right. You don’t actually have to spend a lot of time debating the various details of the software product features or fixing various small issues as well as intricacies of the technology that you are going to use before you are quite certain of what you are actually working on and what the demand of the market it. For top software product development, you can’t just rely on your intuition even if you are an experienced software product development company. It requires the backing of the intuition by leveraging the entire data that is available in the market as well as available through the competitors. It requires setting a plan of action in order to refine as well as validate your thesis. Most of the companies are extremely passionate about their own idea. However, passion can essentially blinds you to the various flaws. Don’t get too much stuck with the idea and think like a good investor as well as remain objective. Even so, never lose your passion that will certainly carry you during the tough days. The best method is to keep an ideal balance. It is important to remain excited about the idea while remaining unafraid of changes if the data actually points to certain weaknesses or loopholes in product development software. You should get into habit of actually using your own product on a daily basis. This allows you to view the product according to your users. By this, you can easily spot the problems in the customer experience quite early. You need to choose certain optimizations such as placing the button on the left or inculcating the feature which best suits the customer requirements. While using the product, you will always get ideas for introducing new useful features. In order to make this quite effective, you need to make sure that you are actually self-aware whenever you are using your own product. Pay attention to various issues that you face during your product usage experience. Ask your customers if they will actually use your product and what they look for. There are various reasons why a person who could actually use your product end up not choosing it because of price, habit, switching costs or any type of other reasons. Try to figure out the customers’ real habits as well as requirements. Observe them closely especially when they are using products of your competitors during the various stages of development of your software. This process might actually take some time, but it will be highly valuable as you actually design your product development software. There are various tools available in order to assist you to conduct customer research much more systematically, from surveys to analytics and even behavior tracking along with smart customer support as well as feedback tools. There are always constraints that are surrounded with software product development. You have a fixed amount of time for any software product development company. Limitations keep the company grounded and focused and force it to prioritize its work. It should learn to work within the strict deadlines. Leveraging the benefits of timelines to your advantage can help in avoiding delays and ensure software product success. There is certainly a wide range of variables that need to be taken into considerations. It is quite necessary to constantly adjust along the software product development process because everything that you have imagined won’t actually make it into your next release. Software product development is a tricky affair. You should get comfortable with failure as it is part of creative work. In case you are making mistakes then that means you are actually exploring various solutions and the distinct solutions that you are working on may differ from your product that you envisioned. Software product development services should strive to make sure that their software product tells a simple as well as a compelling story. 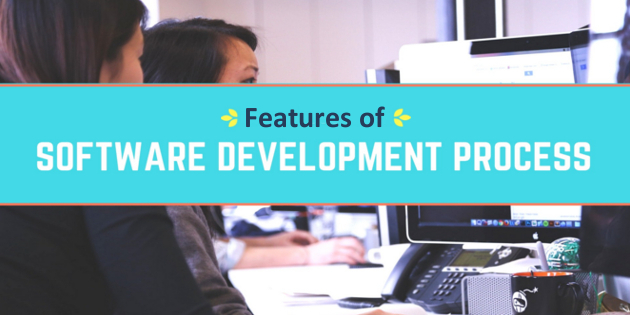 These are the features of top software product development that you should consider. Tarun Nagar is the Founder & CEO of Dev Technosys, a global ranking Mobile and Web Development Company. 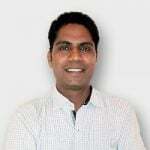 With 10+ years of experience of enabling then Startups which are now global leaders with creative solutions, he is differentiated by out-of-the-box IT solutions throughout the domain. He is known for his visionary qualities and adaptability for technology and trends, passionate as he is he is in every aspect dedicated to making IT simple, accessible and approachable for business enterprises. Great post and I totally agree on certain points. According to me engaging the audience is the most crucial part. Looking forward to seeing your next post.